In order to promote your business and gain the recognition your brand deserves, you have to invest in marketing. There's no way around it, and you know it. However, that doesn't mean that you have to splurge on expensive printed giveaways every time. 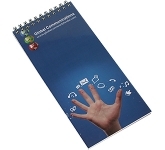 Company branded notepads are one of the most useful promotional products you can offer to your customers. Not only do they have a wide range of uses, but they are also exceptionally handy for around the office, business meetings, conferences, trade shows and exhibitions. In the corporate world, there's nothing better than using a branded product as just another business card, but better! Because of that, branded notepads are always a good choice and a loveable marketing tool for many marketing professionals. The point of marketing is to have your branding EVERYWHERE. Thus, you should use everything you have and make sure that your brand is visible to everyone, no matter who they are. 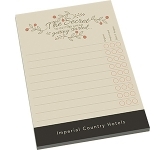 You can use promotional notepads just about anywhere, anytime. They make for great office stationery giveaways, business gifts for customers and are equally popular with schools, colleges, councils, charities and Universities. Furthermore, they will give your business that professionalism you need to win over those people who might not be familiar with your services. You want the freedom to make the promotional products just as you would like them to be. 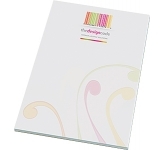 But, maybe you're not sure if printed notepads are the right marketing tools for your business. If that's the case, hear us out. 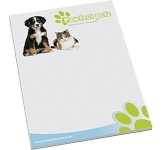 The best thing about notepads is that they are highly customisable, so you can work with a large artwork printed area and create a design that will attract the right clients. 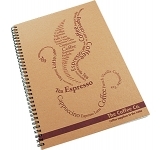 Furthermore, there are hundreds of different styles you can choose from, so you can pick the right type of notepad for every occasion! 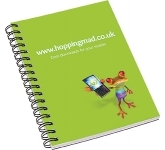 The practicality of notepads is guaranteed to win over everyone, so you will be able to gain the exposure your brand needs just by distributing a product as simple as sheets of paper to write on. If you think that investing in notepads or printed notebooks will drain your bank account, you couldn't be more wrong. 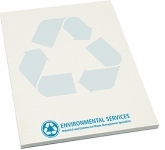 When it comes to promotional products, company printed notepads are some of the cheapest ones out there. Yet, in spite of that, they generate results and brand recognition that can bring you continued marketing success! 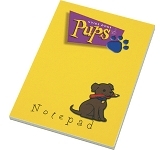 It's easy to appreciate why printed notepads are one of the best selling promotional products. No one ever says: "No, I have enough notepads" or "No, I have a great memory and I never have to write anything down"! It just doesn't happen - why would it? 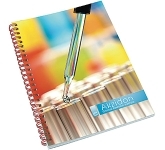 The practicality is an important aspect, but let's not forget that the notepads are also free for your customers. So, even if they use their iPads for everything, there will come a moment when they will need a notepad, and luckily, your branding will be there, waiting to be noticed. 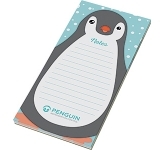 So, every time something needs to be written down or memorised, your notepads will come in handy. Your business will blossom because of the exposure they will generate simply because you gave people something convenient and useful in many situations! 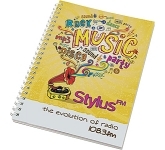 We offer a variety of notepad printing options on our range including screen printing and the very latest in UltraHD photo print technology allowing us to reproduce full colour photographs and graphics to a standard most suppliers can only dream of. Bespoke print options are available so we can ensure your giveaways not only look great, but are unique attention grabbers! Our team of graphic designers are always on hand to offer expert advice in product selection and to ensure that your logo and message is always reproduced to the highest quality. 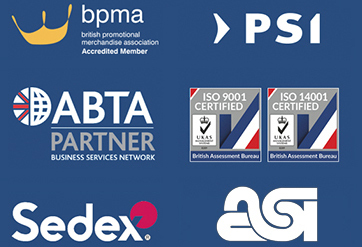 We continually check our prices daily against all the leading UK suppliers and manufacturers to ensure that you, our customer is receiving the very lowest possible prices. So, if you are looking for cheap promotional notepads, and happen to find the same product at a lower price, with the same print specification and turnaround, just let us know and we will match the price and back it with our industry Award Winning Customer Service - that's our guarantee!! For more details on our company logo notepads or using promotional products effectively in your brand building efforts, why not give us a call and chat to one of our friendly account managers who will be happy to assist.